Isla del Sol (Island of the Sun) is a small island in Bolivia’s Lake Titicaca. 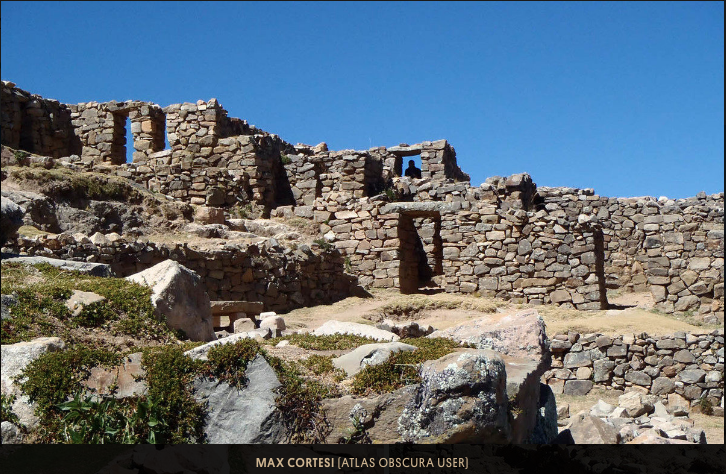 On the northern side of the island is Chincana, an Incan settlement now in ruins. The Chincana ruins bear testimony to the island’s rich pre-Columbian history, as an important spot for Incas trading across the lake. 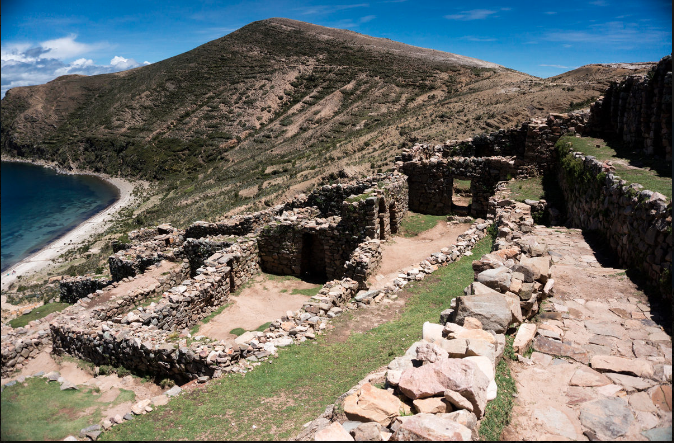 Though the most ancient archaeological evidence unearthed at this site dates back to 2,200 BC, most of the ruins date to the 15th century, the time when Topa Inca Yupanqui (intriguingly translated as “Noble Inca Accountant”) was the Incan emperor. Yet there are speculations that a large structure was already in place here, and work was undertaken to expand it. Topa Inca Yupanqui became famous for extending the territory of the Inca Empire to the north, including Isla del Sol. 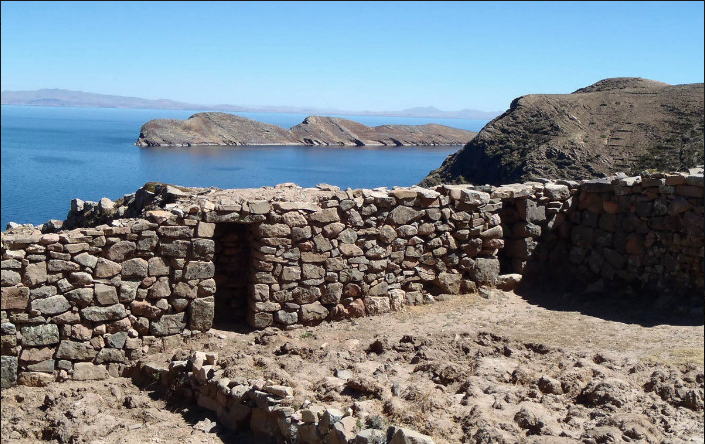 Some claim Isla del Sol to be the birthplace of the Incan Empire. According to one version of the Inca mythology, Manco Cápac was the son of Inti, the Sun God, and he was sent to Earth to found the Inca Empire. Manco Cápac was also venerated as the God of Fire. A disputed legend has it that Manco Cápac and his wife Mama Uqllu first appeared in a human form on Isla del Sol. This detour in the Inca mythology may not be supported by overwhelming evidence (the level of certainty as to what the Inca actually believed increases as more pieces of the puzzle are added), but it does provide an etymological explanation of the name of the island. A cynical mind could argue that rooting the mythological birth of the empire in the emperor’s newly annexed territories may have been an astute political move. To get to Isla del Sol you’ll need to get a boat from Copacabana. It takes 1.5 hours to Yumani (in the south) and 2 hours to Challapampa (in the north). Once on the island, there are no roads and no motorized traffic. It is possible to visit the Chincana ruins on a day trip from Copacabana, but most of the day will be spent on the boat. The advantage of a day trip is that the boat will drop you at Challapampa, not too far from the ruins. An alternative to a day trip is spending one or two nights on the island—accommodation is available in both Yumani and Challapampa. This would allow you to hike across the whole island following the ancient Incan trail following the ridge of the hills, taking in great views of the Island, the lake, and the Cordillera Real at a distance. Beware that Lake Titicaca is already at a respectable 12,507 feet of elevation, and you’re only going higher. This entry was posted in Bolivia, La Paz, Tourism and tagged Bolivian heritage, Titicaca Lake. Bookmark the permalink.